This post brought to you by Gulf County, Florida. The content and opinions expressed below are that of What’s That Smell?. This past weekend we had a little family adventure. I call it an adventure because it involved all 4 of us getting physical and active and putting aside all of the cares and worries in the world and just having fun. And fun we did have. I honestly can’t remember a time when we were all able to have this much fun together. After the fun we had sliding down pitch black water slides, getting drenched by a giant bucket of water, and body surfing in the wave pool, I realized that adventure is what you make it. That something as simple as a visit to a local water park can become the highlight of your summer simply because your family is together sharing in the experience. And seeing the joy of that day through your children’s eyes can become one of the most memorable days you ever have. I also realized that adventure is in the eye of the beholder and that it can be had just about anywhere if you let it. When it comes to memorable adventures, one place that is on my radar to visit with my family is Gulf County, Florida. Much like the escape from reality we had at the water park, Gulf County makes every experience feel like an adventure. We hope to visit Gulf County, Florida this fall and I have heard the Gulf County, Florida (GCFL) has a way of becoming a yearly tradition because once you visit, you keep wanting to go back. If that photo wasn’t enough to convince you of the amazing adventure that awaits you in Gulf County, I have 5 reasons that will. Gulf County, Florida is pet friendly. For us that is a huge deal because it means we don’t have to find someone to look after our furry family members, we can ALL join in the fun and adventure. Gulf County is the home of Tupelo Honey which boasts being the sweetest and purest honey of them all. Yum! The Dead Lakes is a photographers dream and kayaking allows you to experience its mystery, wildlife and beauty from a unique perspective. 4 – Pitch a tent on the beach! In GCFL you can actually pitch a tent right on the beach! They also allow campfires to make for the ideal getaway. Whether you opt to cook your catch, enjoy the local seafood, or check out the restaurants in Port St. Joe, there is something for every palate in GCFL. There really are an unlimited number of reasons to visit GCFL, those are just 5 of my favorites! And as much as Gulf County has so much to see and do, it’s also a relaxing, worry-free way to experience adventure. Like I said, adventure is what YOU make it and if your adventure involves a relaxing hike, a lounge chair on the beach, fishing, or horseback riding, GCFL has all of that and so much more. With their 2 time zones and only 2 stoplights and spotty wi-fi, you will find it’s easy to put aside the real world and just get lost in enjoying your family and your surroundings. 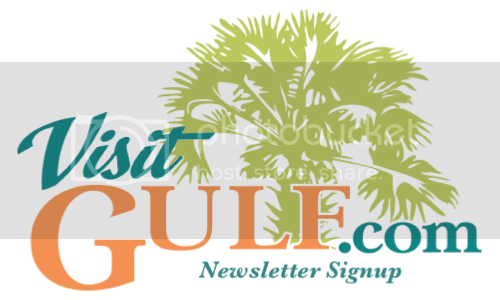 For more information about Gulf County, Florida: Come visit GCFL, and make sure you signup for the newsletter so you don’t miss out on an amazing adventure! You can also follow GCFL on Pinterest and Facebook. What would you like to do in Gulf County for a Fall adventure vacation with your family? The Gulf is on my buckets of places to see. I have been to Florida twice but only to the Kissimmee area. Camping on the beach sounds magical! Everything about this sounds amazing! I’ve never been there before. It looks like so much fun! I would love to take my family. I’ve never been thee. It looks lovely and sounds like a great place for a family getaway! Water parks, the beach, and good food – what more could a family want? It looks like a fantastic place to visit! I love these photos. Looks like you had a great time! We’ve actually been considering a Christmas vacation in that area instead of fall. Wonder if it would still be warm enough to camp on the beach that time of year? Good food on vacations are one if the things I look for when planning a vacation. The gorgeous beaches are also amazing! I live in Florida, I am going to have to check some of these places out. They sound amazing! Wow, that does look absolutely gorgeous!!! The one time I’ve been to Florida we did Disney. I’ve been seeing these Gulf County FL posts and I’m dying to visit that area. We visited the gulf area but farther down south so we’re looking forward to visiting Gulf County. I am past due for a vacation and Gulf County just shot to the top of my list. The kids want to visit Florida for a different reason, but this might be a compromise! I really need to get over to the Gulf Coast more often! It’s so beautiful over there! Oh wow. I want to camp on the beach. How amazing would that be. I’d love to visit Gulf County. It’s right up my alley, especially all the gorgeous geography. Gulf County looks beautiful! I’d love to go see the sites there. The scenery is just gorgeous. We go to Florida every year, but it’s always Disney. I would love to see more of the state!